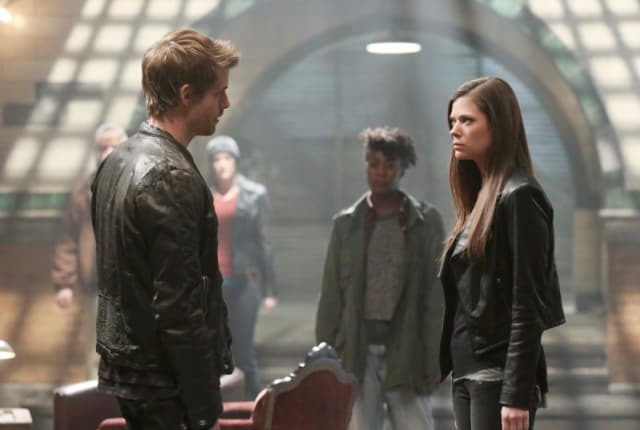 Watch The Tomorrow People Season 1 Episode 13 online via TV Fanatic with over 3 options to watch the The Tomorrow People S1E13 full episode. Affiliates with free and paid streaming include Amazon, Netflix, and YouTube Purchase. Stephen is upset when Jedikiah leaves him to face the finder alone in order to protect Astrid on The Tomorrow People. When I was lying there, bleeding out, not sure if I was gonna make it. It wasn't Astrid I was thinking about. John: You here to make fun of me?